Once a month, our Risk Roundup provides a recap of 10 interesting articles and online resources on Risk and GRC that caught our attention. We hope you enjoy the one for March 2016. This video from Phoenix Health and Safety, shared by SHP Online, explains the definition of risk, and details how to carry out a risk assessment, i.e. evaluating who might be harmed, the risks and controls, as well as recording and reviewing findings. 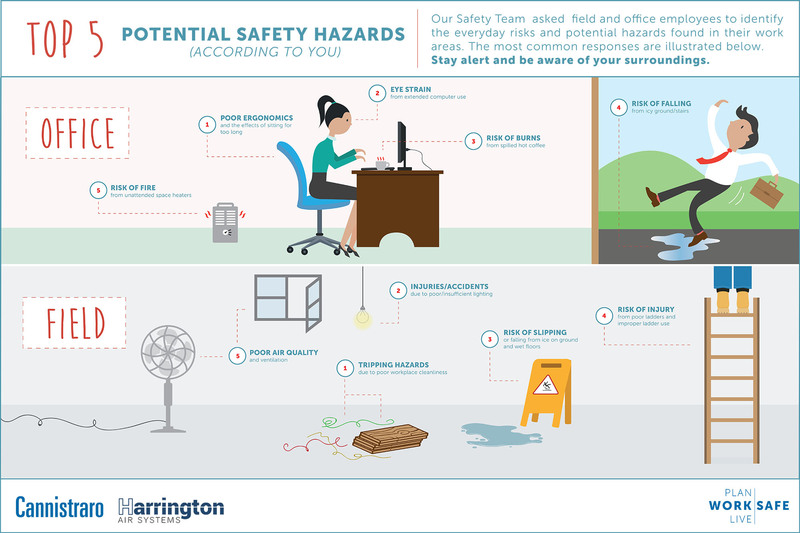 Cannistraro, a mechanical construction firm in Boston, asked field and office employees to identify safety hazards in their immediate work environment in order to promote safety awareness. After reviewing hundreds of responses, the top five hazards listed the most frequently were collected. The results of the findings are shown in the infographic.